Stretch Limos For 8, 10 and More Passengers! Don't be overwhelmed as to figuring out how you and your beloved are getting to and from! Being a full service transportation company, our staff is ready to play an important role in your very special day. Our fleet includes two small cars, 4-6 passenger stretches, a Cadillac Fleetwood, and a silver metallic Lincoln car. Each vehicle has auxiliary options! 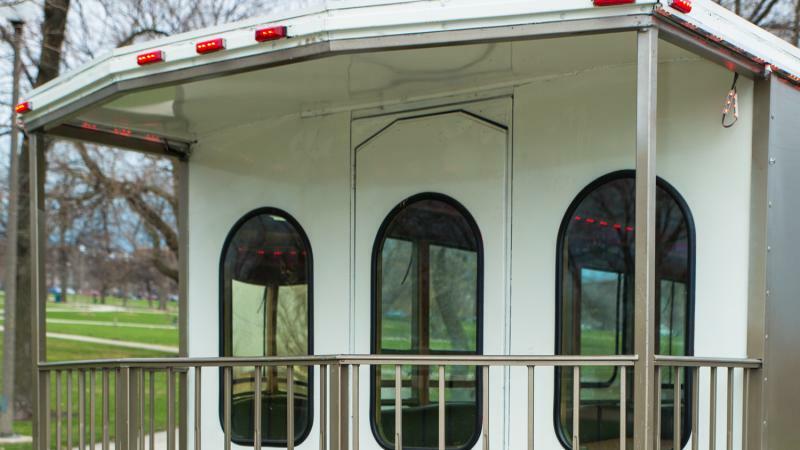 We now have a premium White Trolley Bus for when you want classic looks, but a superior high tech experience! It’s simply awe-inspiring when you step inside. You’re sure to enjoy this ride because of the state of the art surround sound, beautiful balcony, and perimeter seating! The fiber optic ceiling and strobe lights leave no doubt as to the party inside! Find the right vehicle for you and your guests with Classy Chassis Limousine Service! 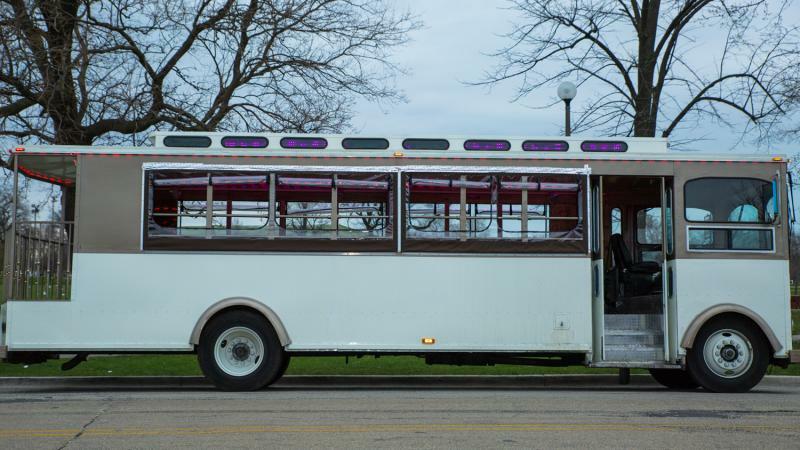 No matter what the event, such as a bachelor or bachelorette party, a prom, or just a night out on the town in Chicago, this 28 Passenger Trolley Bus is waiting. The sides can be open or enclosed windows weather permitting. It is also air-conditioned and heated for your comfort. The beautiful solid oak and brass interior is complimented by perimeter seating for more intimacy. A courteous and prompt professional driver will pick up your party where you can enjoy a balcony and leather wrapped seating. Enjoy the state of the art stereo system with iPod connection and LED lights for a night to remember!